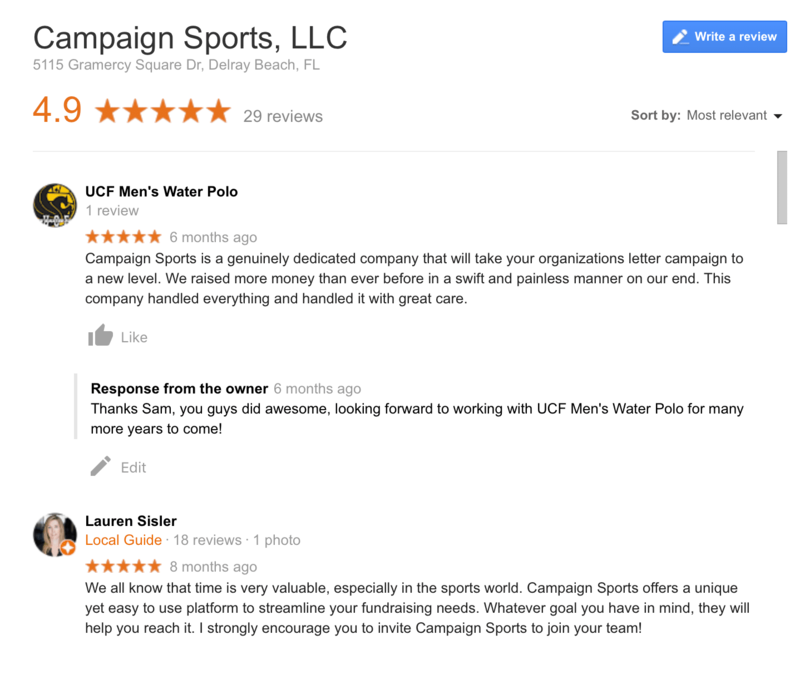 When selecting a fundraising partner, the concept of Social Proof can provide exceptional reliability in the investment you make. Social Proof speaks to a person’s reliance on the feedback and actions of others to determine what is the best fit for their circumstance. – According to a 2014 Gen Study, 97% of B2B buyers feel that user-generated content like consumer reviews are more credible than other types of content. 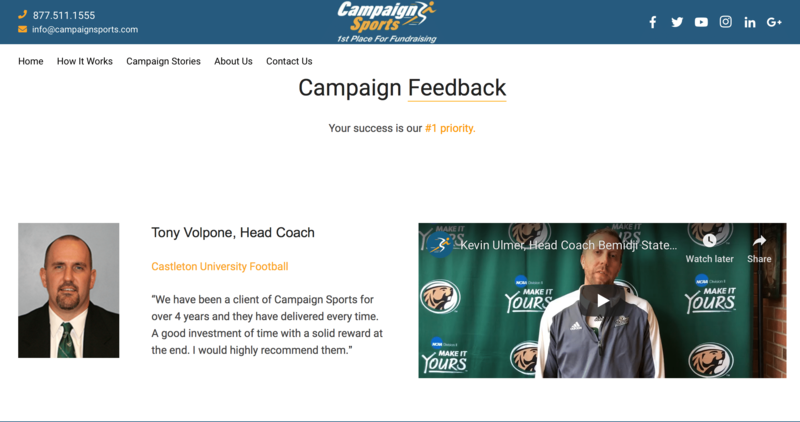 Look for authentic customer testimonials on the home page of your fundraising partner. Happy and informed customers make all the difference! -Social media is a key component of any business’s marketing strategy to build and enhance their brand presence and get their consumers approval. According to Sprout Social, 74% of shoppers make buying decisions based on social media approval or disapproval. -Look for a well maintained social media page that has frequent and relevant posts weekly across multiple social handles for your fundraising partner. – YouTube is the standard bearer for creating a virtual community for any business to share short form videos from key influencers tailored to the consumers’ at the moment and mission critical. According to eMarketer, 4X as many consumers would rather watch a video about a product, rather than read about it. 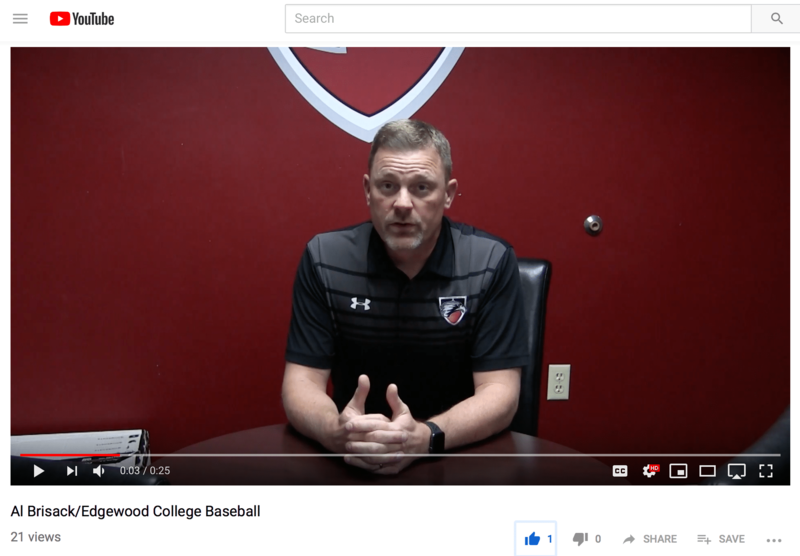 -Look for influencer videos across all channels (Google My Business, Social Media, and website) before selecting a fundraising partner. In 2019, make Social Proof work for you in selecting the optimal partner for all your fundraising needs. 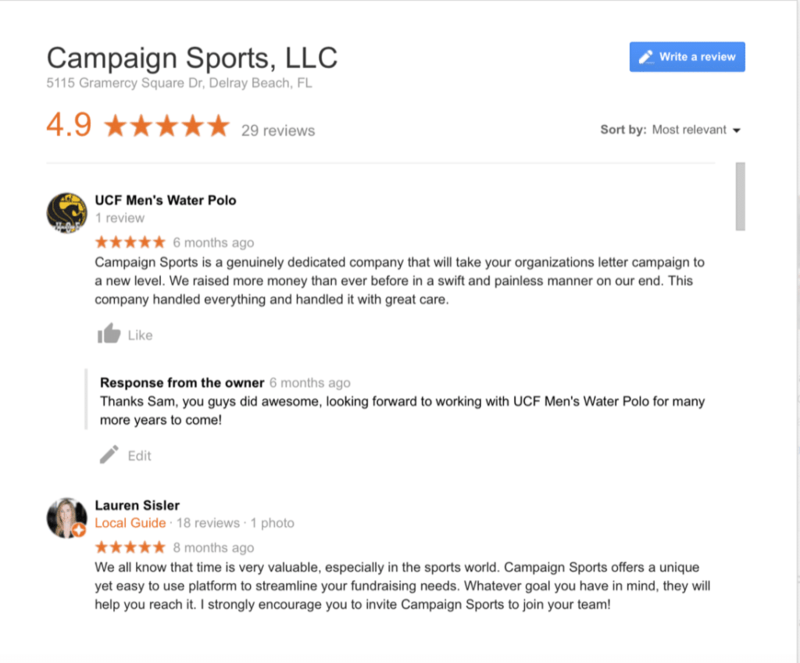 Campaign Sports boasts a 4.9 Star review on Google with over 25 positive customer and key influencer testimonials. 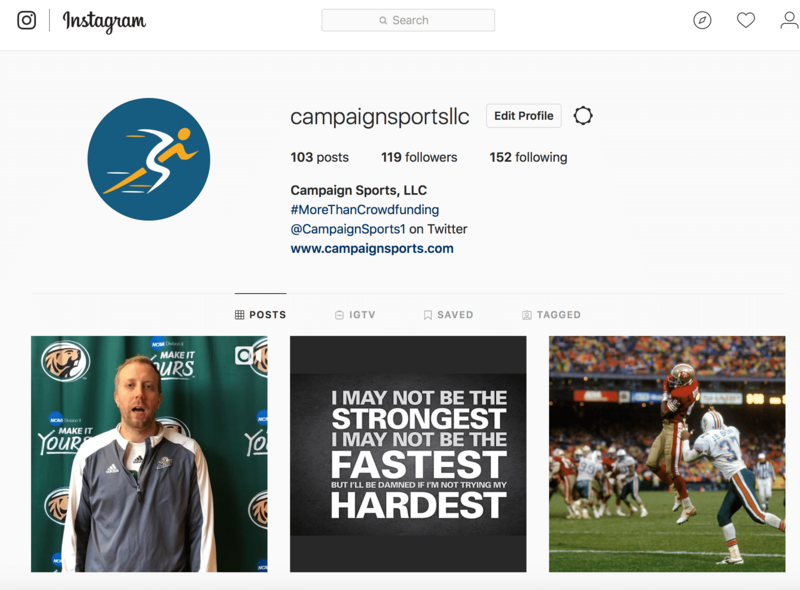 Check us out today at campaignsports.com as well as our social media pages.